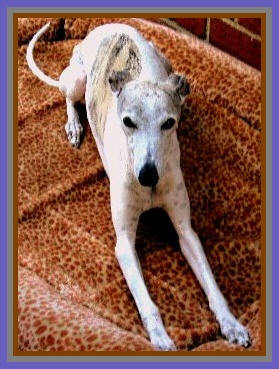 This page is dedicated to my good friends whose special and beloved whippets have passed on. 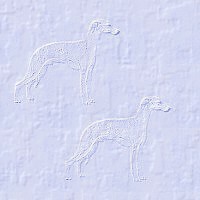 These special whippets will never be forgotten. Run Free to the Whippet Bridge. I wrote and dedicated this poem to my good friend Susan Hayes and for her whippet Baby. 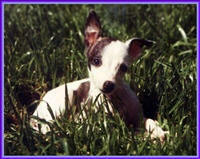 Baby's mother, Char had a litter of seven whippet puppies and Baby happen to be the smallest and sickest. out of town on occasional trips. Baby will be deeply missed by susan, her family, and all of her friends. he gave them a lifetime of memories. Niven will be sorely missed by his family and by all of the others whose lives he touched. Niven oliver, you will be never forgotten. thank you for all of the memories.